February 23, 2011  The strange fractures that may be associated with certain osteoporosis drugs called bisphosphonates occur low on the thighbone, where the femur is usually strongest. Bone specialists say the benefits of the drugs still outweigh their risks. February 22, 2011  In a closely watched case, the high court ruled 6-2 that federal law shields vaccine makers from suits filed in state courts seeking compensation for injuries or deaths allegedly due to design problems with the vaccines. February 18, 2011  In an environment of increasingly tough budgets, the Food and Drug Administration is stepping up calls for the drug, medical device, and food industry to kick in some money. Right now, the agency is focusing on generic drug makers. 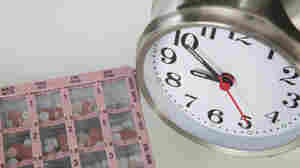 February 15, 2011  To boost the odds you'll stick with your medicines, try taking your pills when you do something else on a regular schedule, such as brushing your teeth. Signing up for automatic refills may also help. February 10, 2011  A former executive at Merck argues the time has come for drugmakers to slow down on TV ads. Congress could help by making it possible for companies to cooperate on ads that don't feature specific drugs, he says. 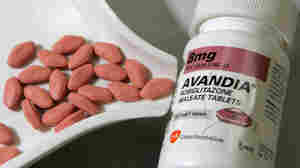 February 7, 2011  New instructions say Avandia, a diabetes drug, should only be used by patients already taking it or new patients who can't get their blood sugar under control with other medicines. February 2, 2011  Patients on the best-selling cancer drug Avastin are much more likely to suffer fatal side effects than those just getting chemotherapy, a study finds. Even so, the overall risk of fatal problems is low at less than 3 percent. February 1, 2011  In a move that contradicted the advice of a panel of outside experts, the Food and Drug Administration will not consider approving the diet pill Contrave without a large study to determine its heart risks. January 24, 2011  GlaxoSmithKline's U.S. President Deirdre Connelly acknowledged huge fines paid by drugmakers and the low esteem consumers have for the companies these days. She said Glaxo will no longer pay bonuses for U.S. sales representatives based on prescriptions. January 19, 2011  Humans have transformed a defense against noxious fumes -- a receptor at the back of the throat -- into an indicator of gourmet quality in olive oil. January 18, 2011  Israeli scientists have used stem cells to grow heart cells from patients with a rare heart disease called long QT syndrome. They also tested a variety of drugs on the cells, which they hope will help them develop new treatments for the syndrome. January 14, 2011  The latest recall, stemming from quality problems at Pennsylvania factory, covers various batches of Tylenol 8 Hour, Tylenol Arthritis Pain and various other medicines made before April 2010.